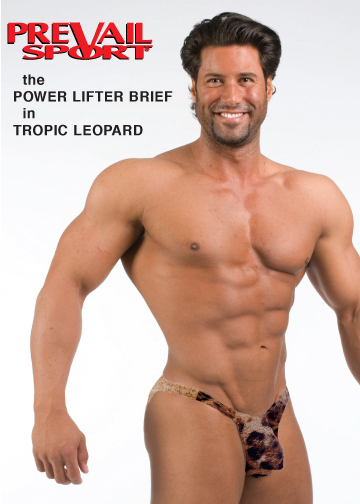 PowerLifter Brief - Now the ultimate enhancement design is in a brief. The unique design makes the most of what you’ve got - pushing you up and out. Even under jeans, everyone will notice the difference in you. Featured in new Tropic Leopard, a great print that is the call of the wild. Brazilian seat. Nylon Spandex. Please note 6. is Sold Out.